Mission Beach and Cardwell Taxi. Booked Hire Service. 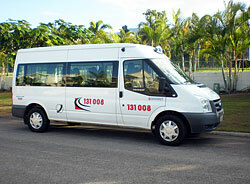 The Mission Beach and Cardwell Taxi Services use Maxi 10 and 11 seat passenger, wheelchair accessible, cabs. Also available for DVA Medical transport. 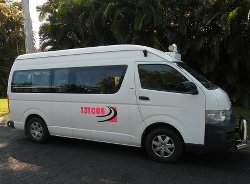 The taxis service the Mission Beach and Cardwell areas, however, they can also take people outside these contracted areas and are available for single and multi hiring. The fare can be negotiated between the booking entity (driver) and passenger. This includes Maxi, Taxi or Limousine. Taxi fares are determined by the area in which the taxi operates – these areas are South East Queensland, regional Queensland and exempted Queensland. 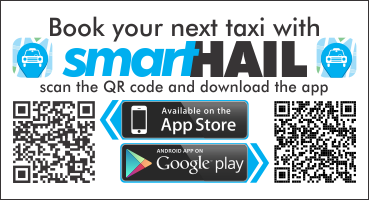 For more information on taxi fares visit the Transport and Main Roads website.